Hudson County, V. 8, Double Page Plate No. 6 [Map bounded by West St., Oak St., Palisade Ave., Charles St.] / surveyed and published by Chas. B. Brush. Vol. 8. Hudson County, V. 8, Double Page Plate No. 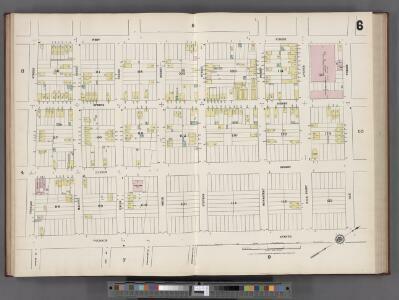 5 [Map bounded by Kerrigan Ave., Oak St., West St., Charles St.] / surveyed and published by Chas. B. Brush. Vol. 8. 1 : 12000 Viele, Egbert L.
from Height district map / City of New York, Board of Estimate and Apportionment. Map of the City of New-York with part of Brooklyn and Williamsburgh : population in the year 1850: 450,000 inhabitants. Map of the City of New-York with part of Brooklyn and Williamsburgh : population in the year 1850: 450,000 inhabitants / D. Völker, sc. New York City and the Adjacent Cities. 1 : 20000 Colton, G.W. 1 New York, Brooklyn, Jersey City. Map of the city of New York, 1850 / drawn for D.T. Valentine's Manual 1850, by G. Hayward. 1 mapa. Datat a partir de 1900 aproximadament. D. Appleton & Co.
Map of the city of New York showing the original high water line and the location of the different farms and estates. The Great metropolis in 1804.